A bachelor’s degree in Forensic Science can prepare you for a career as a forensic scientist, criminalist, or in a technical position; in the fields of medicine, pharmaceuticals, chemical and biological analysis, food safety, and homeland security. An appreciation of diversity and of the increasingly global world. The goal is to graduate students who possess the knowledge, experiences, and skills needed to lead a meaningful, reflective life, who will be productive and contributing citizens, who will be successful in their forensic and criminal justice careers, and who will be life-long learners. This degree is offered through the Department of Justice and Community Studies and can be completed at Miami University’s regional locations, with the option of completing much of the science coursework at the Oxford campus. 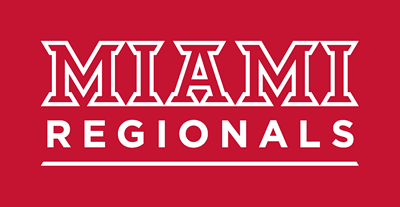 See Miami University's General Bulletin for the Forensic Science core program requirements. Criminal Justice offers students a comprehensive and dynamic understanding of crime, justice, punishment and corrections, policing, and the legal system within the context of a liberal arts education. Forensic Science is the use of science in law. According to the 2015 Occupational Employment Statistics from the Bureau of Labor Statistics, the state of Ohio employs 6,630 people in forensic science-related positions (private detectives/investigators, fire inspectors, forensic science technicians, and judges/hearing officers), not including over 24,000 police and sheriff's patrol officers. The Occupational Outlook Handbook forecasts national job growth for forensic science technicians of 27 percent for the period 2014-2024. 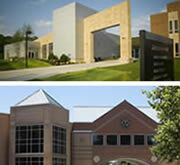 The Department of Justice and Community Studies offers degree programs that can be completed entirely on the regional campuses. JCS faculty are located on both the Hamilton and Middletown campuses, and classes are offered at all three regional locations. For classroom visits and other opportunities to get to know JCS at Miami, please contact the department.